The Sofa table is inspired by a later 'Industrial' influence to Art Deco furniture. 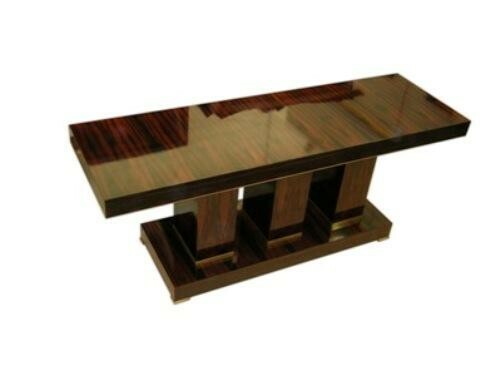 It is crafted in Macassar Ebony, with upright mounts and edge trimmed in aged bronze or silvered bronze. Architectural in style, it fits in well with modern interiors.